Are you looking for the best Magnesium supplement? Smart move. Magnesium deficiency is a health issue that's more common than you think. Luckily, there are lots of ways to get more in your diet. Read on for our picks for the 10 best products to help you find the right one for you. Magnesium is a vital essential mineral that’s involved in over 300 key functions in our bodies. In the first place, it helps turn food into energy, creates proteins from amino acids, and regulates our nervous systems. Not only does it help keep your heart healthy and your blood sugar low, it helps fight Type II Diabetes. Not to mention, it can fight depression, help prevent migraines, and improve PMS symptoms. It's also a common ingredient in over the counter antacids like Tums, which can relieve heartburn and stomach distress. No wonder so many people like you are looking for the best Magnesium supplement. Are You Getting Enough Magnesium in Your Daily Diet? Despite its high level of importance, nearly one-third of the US population does not have enough magnesium in their diet. The recommended daily allowance (RDA) varies depending on your age and gender. Men require 400 mg to 420 mg per day, and women should consume between 310 mg and 320 mg. Although we can get enough through foods like spinach, cheese and dairy, nuts, seeds, and seafood, many also take supplements. In this helpful article, we will break down the 10 best magnesium supplement options for men and women. We require products to meet our strict standards in order to get on our list. In addition to the product info, we’ve got a helpful buyer’s guide to explain the science behind our top picks. This can help you choose which of these options are the right fit for you. There are easily thousands of magnesium products on the market. No wonder choosing the right one can feel like a major challenge. We assure you that we've done the hard work on our end. This way, you can rest assured that you are buying a high-quality option that will work for you. First of all, we’ve only chosen products that have hundreds of online reviews from happy customers. Second, we've only listed options with 4.5-star ratings and higher. Thirdly, we've delved into some scientific research to narrow down our picks further. Oh, and we've also only looked at certain forms of Magnesium. Why? Because some have a better bioavailability (the ability to be absorbed and used by our body) than others. Of course, we only include products made with the right types of this crucial mineral. These are Magnesium Citrate, Magnesium Gluconate, and Magnesium Glycinate. Our recommendations are made only by companies known for the purity and high quality of their products. We guarantee that each and every single one of our options is safe to use. Finally, our top picks come at several price points making it easy to fit in your budget. 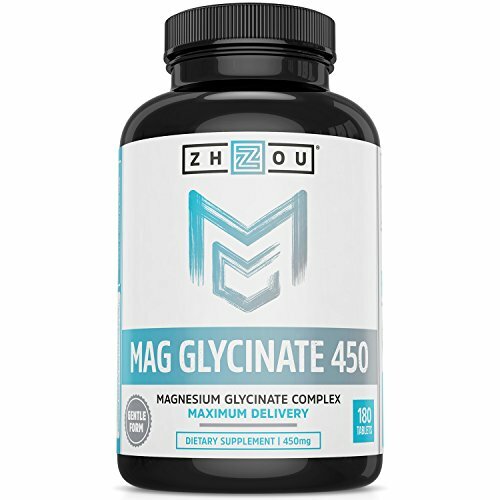 This Chelated Magnesium Glycinate from Zhou is at the top of our Best Magnesium Supplement Products list for several reasons. Thanks to their unique patented chelation process, it's easy for your body to digest. This makes it a great option if you have a sensitive stomach. It also features a high level of bioavailability, to ensure you'll absorb as much as you can with each dose. Made with no fillers, this product is also non-GMO and comes with a money-back guarantee from the manufacturer. Because of its high quality and rave reviews, we rate this product 4.9 out of 5 stars. 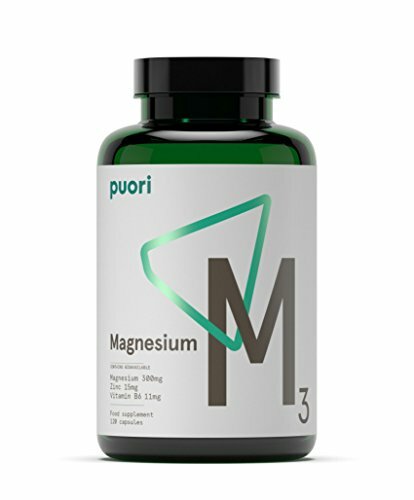 The second pick for our list of Best Magnesium Supplement products is also a good choice. If you don’t have any digestion issues, this option in citrate form is a great choice. That's because it’s one of the easiest for your body to process, absorb, and use. This form of Magnesium helps support energy production, stress relief, nerve function, and more. 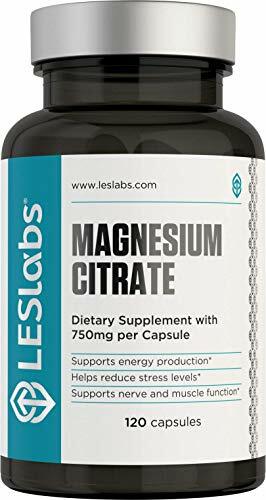 This product from LES Labs contains 750 mg of Magnesium Citrate and provides 225 mg of elemental magnesium with each dose. One pill daily will more than meet the needs of men and women of any age. Also, LES Labs is highly vigilant when it comes to the purity of their products. This magnesium supplement is non-GMO and is made without any gluten, preservatives, dairy, or artificial colors or flavors. Because of its high levels of purity and quality, we also give this product 4.9 out of 5 stars. Meets standards for quality and purity. Even the best Magnesium supplement can get tricky if you’re a vegan. 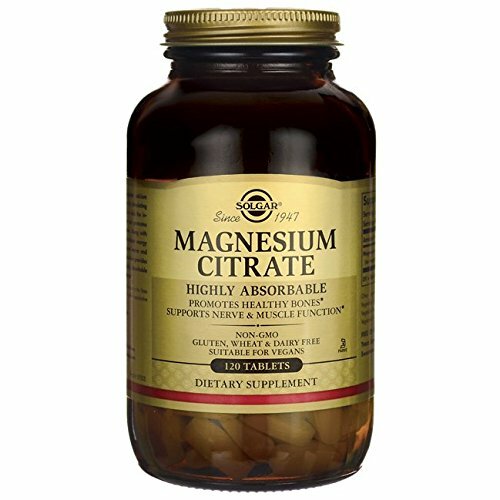 That’s one of the reasons why we love this magnesium citrate option from Solgar. Not only do they offer the max level of bio-availability... They are also free from any animal products, which makes them a vegan-friendly choice. They also make this product without any gluten, wheat, dairy, yeast, soy, sugar, or sodium. Nor does it have any artificial colors, flavors, sweeteners, and preservatives. 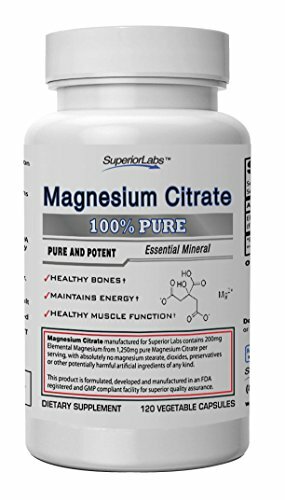 Each dose has 400 mg of magnesium citrate per two pills, which meets the RDA for men and women. Because it's vegan with so many things we like about #2 on our list, we rate this product 4.8 out of 5 stars. Few of the companies that produce supplements can pass the strict standards set forth by the NSF. Yet Superior Labs measures up to the requirements of this stringent health and safety group. Because they make all of their products in third-party certified NSF facilities, their quality and potency is second to none. As with the above options on our Best Magnesium Supplements product list, the capsules contain no synthetic additives. Plus, they also test all of their products for heavy metals or bacteria to ensure that they're safe to use. Each two-capsule dose contains 1,250 mg of magnesium citrate and 200 mg of elemental magnesium. This makes it one of the more potent and balanced blends available. Because of its strict NSF-certified standards and potent blend, we rate this product 4.8 out of 5 stars. Meets standards set by the NSF. Nature Made is known for developing high-quality supplements, and their Magnesium Citrate product is no different. This option is USP-verified, which means an independent organization has tested it for both its purity and its potency. Because the FDA does not regulate these supplements, third-party testing ensures that you’re getting what you pay for. Per two-pill dose, this option provides just 250 mg of magnesium. This makes it far pricier to get your recommended daily dose than some of the others we’ve reviewed. However, it is a very pure blend and doesn’t include any synthetic dyes, artificial flavors, preservatives, gluten, yeast, or starch. We'd give this product higher marks if it only it weren't so pricey. Still, it earns a solid 4.7 out of 5 stars. If you have allergies to certain ingredients, it can be hard to find supplements that don’t cause a reaction. Luckily, Pure Encapsulations makes a line of hypoallergenic products. Even better, they are safe, yet highly effective and potent. This Citrate blend does not contain common allergy triggers like gluten, wheat, egg, soy, dairy, or shellfish. It’s vegetarian, and also doesn’t have any artificial colors, sweeteners, or hydrogenated ingredients. Due to using more expensive ingredients, this supplement is on the expensive side. Every capsule contains 150 mg of magnesium citrate, so you will need to take two to three to hit the recommended daily dose. Although highly-rated and of good quality, the product is pricey compared to others. We give it 4.6 out of 5 stars. 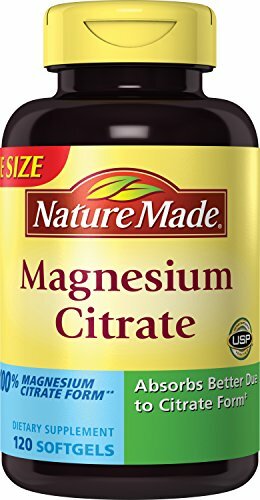 If Magnesium Citrate makes your stomach upset -- a common side effect -- an option in Glycinate form can help. As with the above Citrate option, the Glycinate blend gets tested by several third-party labs. This is to ensure it meets the very highest standards. As with the Pure Encapsulations' Citrate blend, this contains no known allergens. This way, you won't have to worry about gluten, wheat, peanuts, eggs, or shellfish. By the same token, this product is also non-GMO, and hypoallergenic. 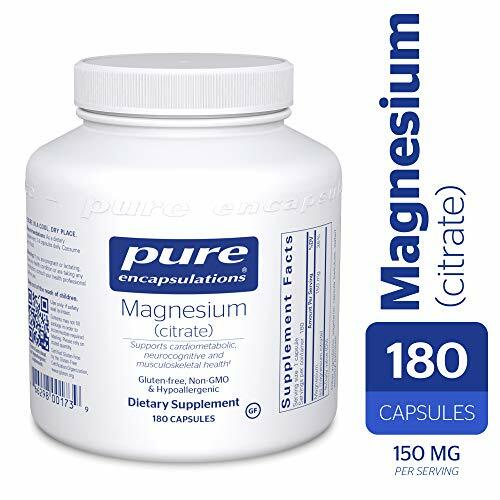 If you have allergies along with the above-mentioned digestion issues, this is likely the best Magnesium supplement for you. Each capsule has 120 mg of magnesium glycinate and is vegetarian-friendly. While this product may prove too pricey for many of us, it's a great option for those with sensitivities. We rate it 4.6 out of 5 stars. Gentle and of the highest quality. 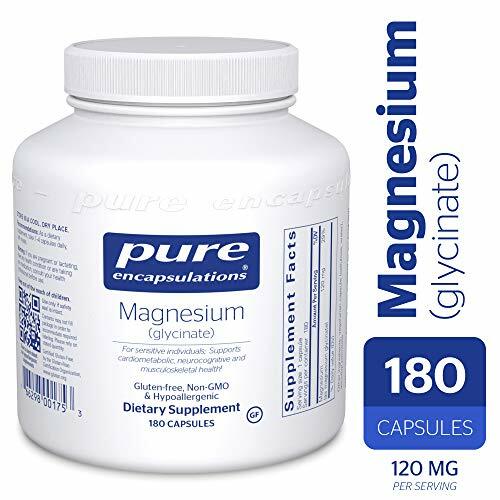 Made specifically for athletes, this magnesium gluconate blend uses organic chelated magnesium to deliver 300 mg in every three-capsule dose. The pill also provides daily doses of Zinc and vitamin B6. Why? Because studies show they give the benefits of Magnesium a power boost. Yet, despite this power combo, this isn’t a good choice for vegetarians as it uses gelatin to create the capsule. Many swear this product gives their sports performance a boost and also helps them sleep. We rate it 4.2 out of 5 stars. High-quality with Zinc and B6. Here is another option made from chelated magnesium glycinate. which is helpful if you have stomach trouble. Because of KAL’s unique patented Activ Tab technology, the pill dissolves within 30 minutes. KAL also claims that unlike many brands (though not any of the ones here), it's non-buffered. That means they don't dilute it with less pricey magnesium oxide. As a bonus, this product is also non-GMO, vegan, and soy, dairy, and gluten-free. Plus, you can't beat the price. Because this is a great product for a great price, we rate this product 4.5 out of 5 stars. For many people, pills and capsules are too big for them to swallow. If you shy away because of this, we may have found the best Magnesium supplement for you. 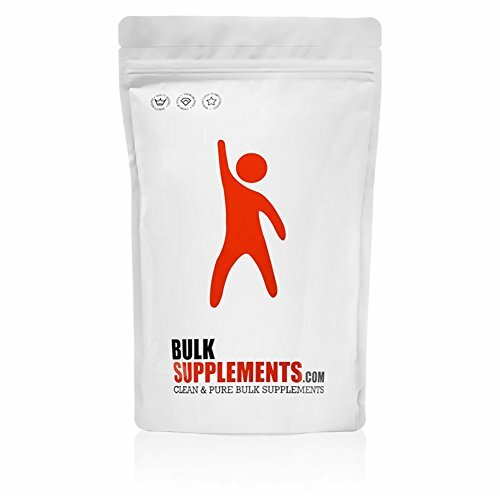 Bulk supplements makes their products in a powder form, and we love the Glycinate option. This powder is less likely to irritate your stomach and comes in a form your body can readily absorb. In addition, they make their blend without any added fillers. Users report excellent results, though many say that the taste leaves something to be desired. You can mix this option in either water or any beverage of your choice. 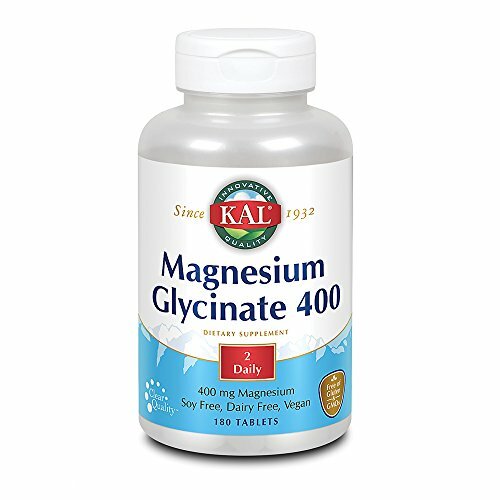 This product contains 113 daily servings, and each 1000 mg serving contains 401 mg of Magnesium. Because this is a well-priced and highly-rated option in powder form, we give this product 4.4 out of 5 stars. Excellent quality and great value. Now that we’ve narrowed down the top 10 best magnesium supplement options, here is some advice on choosing the one that is best for you. Before you purchase any supplements, talk with your doctor about your needs and concerns. Although the general RDA for magnesium is 400 mg, several factors could impact how much is safe and healthy for you. If you are deficient or have health conditions that warrant a higher dosage, you’ll want to consider that. When choosing which product best meets your needs, read the labels to understand how many milligrams of magnesium is included in each dose. Also, pay attention to how many pills, tablets, or scoops of powder constitute a dose. If you are someone who doesn’t like swallowing pills, for example, an option that only requires one tablet to get your entire RDA might be the best fit. The key to getting results from any supplement is taking it. If you invest in a high-quality option, you’ll also want to ensure that it comes in a form that you like and tolerate well. Regarding magnesium, there are a few different choices. Orally, the best brands come as pills, tablets (chewable's), and powders. We included all three in our list above to give you a variety of potential options depending on which is most appealing to you. Also, you can also supplement using transdermal methods. Magnesium sulfate, commonly called Epsom salt, or topical products like lotions or oils that have magnesium chloride are an alternative option. These methods don’t require you to digest the mineral, which may be beneficial if you experience digestion issues due to oral supplementation. However, there is little research showing the efficacy and absorption rates of these methods. While you can get your daily dose of magnesium through a healthy, balanced diet, sometimes it's good to be sure. That's why finding the best magnesium supplement is one way to ensure that you always get enough. If you’re looking for a good option, start with one on our top 10 list and then use our helpful buying guide to whittle it down to the perfect fit for you. Featured image: CC 0 Public Domain PXHere.